Northern white-tailed bumblebee (Bombus magnus), possible worker. Photo credit: Steven Falk. 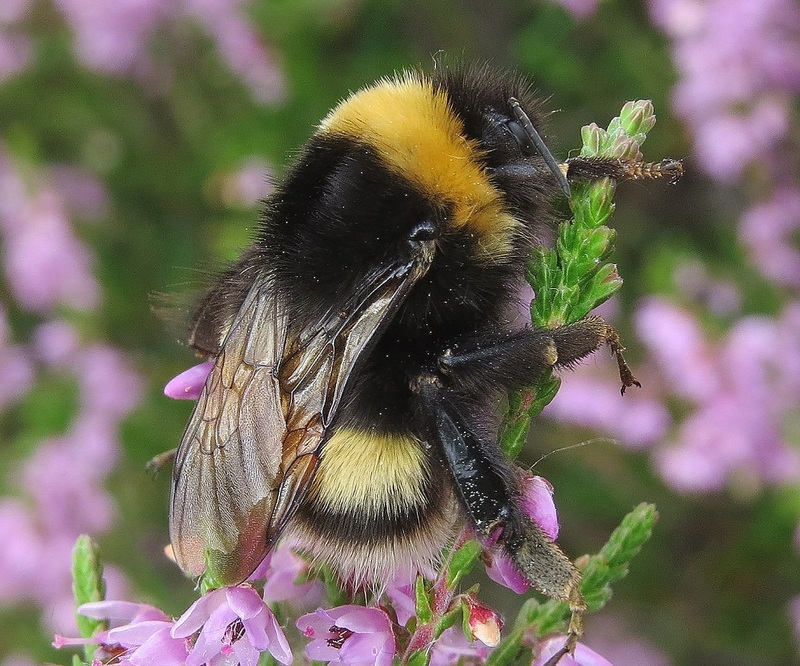 One of the cryptic species within the White-tailed (Bombus lucorum) complex, this species appears to have a largely northern and western distribution and favours heath and moorland habitats. The Northern white-tailed bumblebee has a broad, pale yellow collar at the front of the thorax and another broad yellow band in the middle of the abdomen, with a pure white tail. Northern white-tailed bumblebees. Photo credits: Peter Barber (left), Steven Falk (right).